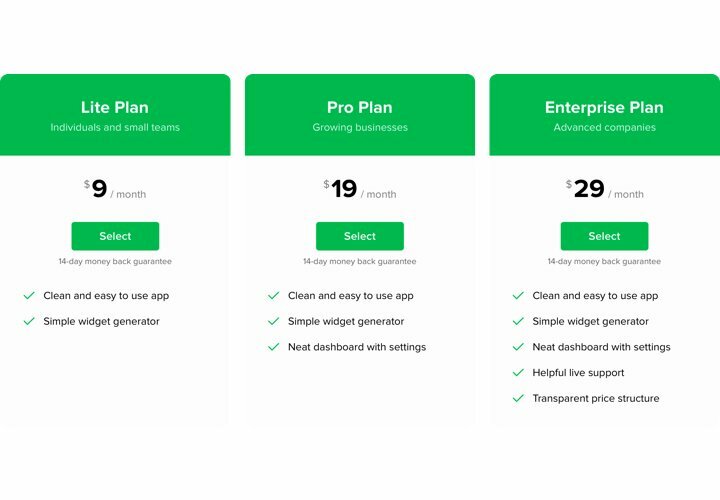 Pricing plays one of the basic roles in pushing users to buy. Elfsight plugin not only helps users of the website to learn and compare available price tariffs in a flash. It also contributes to boosting conversion with the help of the freshest tendencies in design. 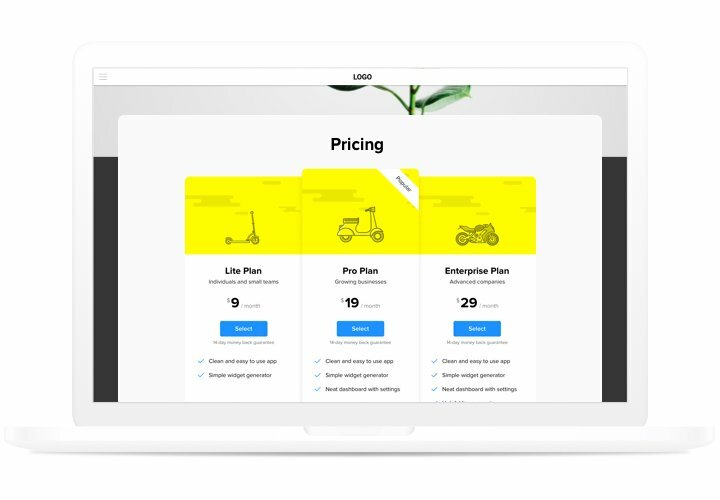 Raise sales of your site to a different stage, using of an smart pricing. Use all the newest trends of the interface design, to destroy all possible misconceptions a user may have, while taking steps to buy. 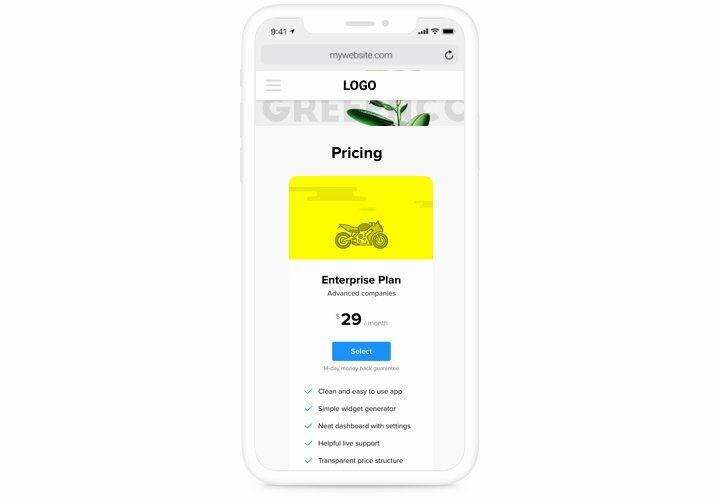 Display most simply and efficiently the information, your probable visitors are searching for and convince them to make the 100% right decision. 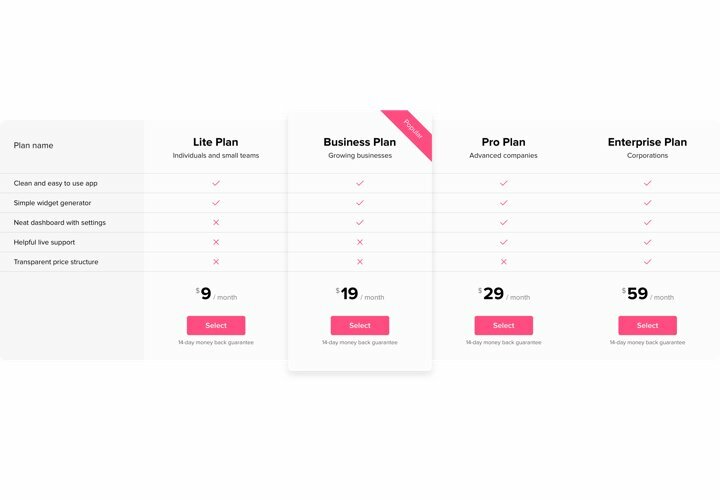 Having a wide variety of options enabling to set various kinds of pricings only for a 3 clicks, you will find the one that will be absolutely effective for you. 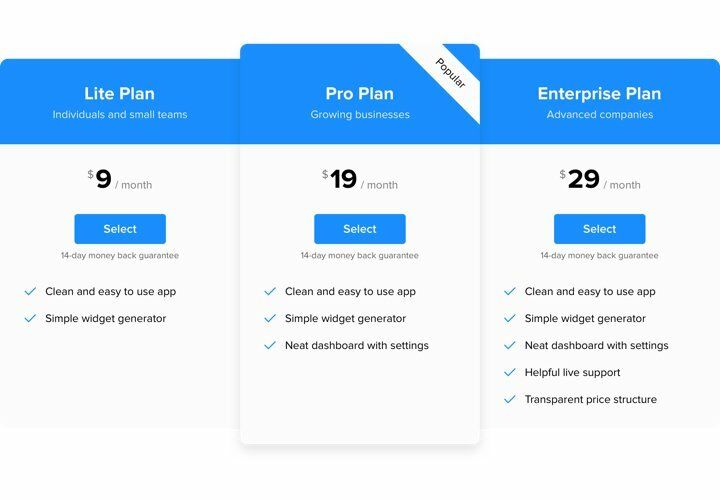 The most prominent features that turn our plugin into the best Pricing Table for Elementor websites. Check this brief manual to install our plugin on your website. To fulfill it, you don’t need competence in programming or much time. Only a couple of simple actions and two or three minutes. Using our free demo, generate a plugin with selected layout and options. 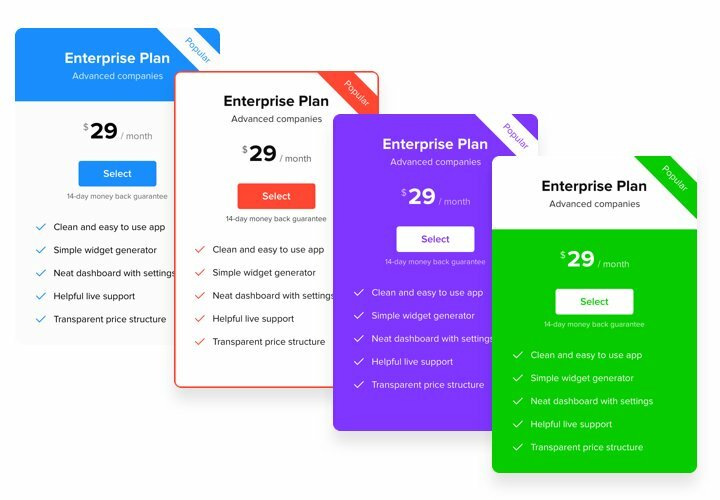 After the widget has been set up, acquire your unique installation code for Pricing plugin from the appearing window on Elfsight Apps. Chosoe where to insert the plugin, paste the installation code there, and publish the changes. Go to your website, to see your widget. Having issues with setup of the plugin? Get in touch with our help center, we will help with any issue!